A fine blue cloth hardcover in fine dust jacket. The contents are clean, tight and bright. Nearly as new. 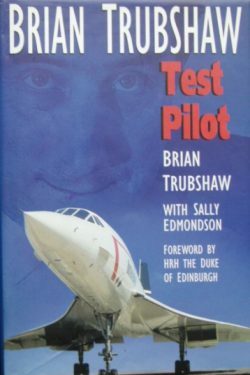 The story of Brian Trubshaw’s life in flying; from his RAF war service, his time with the prestigious ‘King’s Flight’ to becoming a test pilot with Vickers-Armstrong, culminating in being the first British pilot to fly Concorde in 1969 and his role in the ensuing test programme. 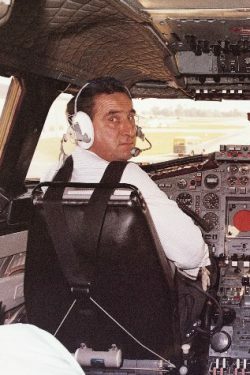 Co-written with his step daughter, this is a fascinating insight into the testing of civilian airliners such as the Vanguard, the VC10 and Concorde in particular. 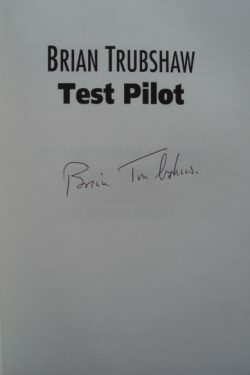 An excellent copy boldly signed by Brian Trubshaw.